While high-priced equipment can easily acquire stature on grounds of outright performance and physical appearance, we critics have more admiration for genuine achievement at lower price levels. 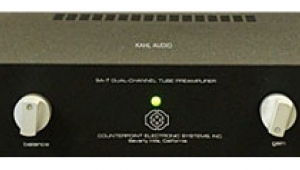 One such product was the all-triode SP8 preamplifier from Audio Research, launched back in 1982 and priced at $1400. 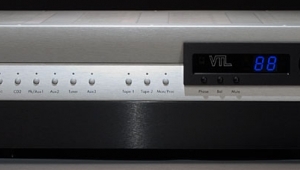 This classically tasteful preamplifier came equipped with a medium-sensitivity phono equalizer and the usual tape and line inputs. In my review of the SP8 in the February 1983 edition of Hi-Fi News & Record Review, I described a topnotch performer that was equally adept at reproducing both vinyl and early CDs. It moderated some of the harshness and hardness heard on some recordings and I recommended it highly. 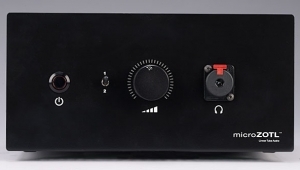 With hindsight, I feel that the SP8's moderating influence resulted from the summation of certain subjectively complementary low-level errors that resulted from the SP8's single-ended triode (SET) design. These helped make the "push-pull," wholly symmetric digital audio signal paths sound a little more natural. 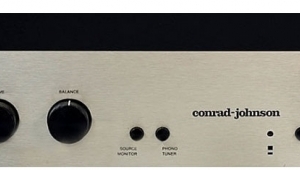 That same effect can be easily observed in many Cary designs, and not least in Conrad-Johnson's ART zero-feedback triode line preamplifier. 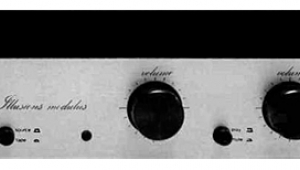 Now, some 17 years after the SP8 made its appearance, Audio Research has released a close parallel: the triode LS8. Priced at $1495, the LS8 physically resembles the SP8, but with two of the latter's four rotary controls omitted, as well as two of the four front-panel levers. 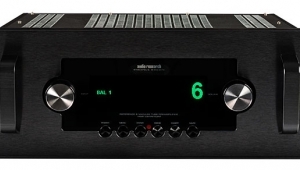 The LS8 is substantially less expensive (in real dollars) than the older model, but the ubiquity of digital sources has led to a dramatically simpler design. 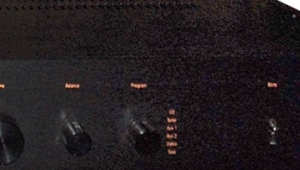 Gone are the stereo/mono mode switch, the balance control, the tape-monitor loop and its toggle switch, and the phono section. 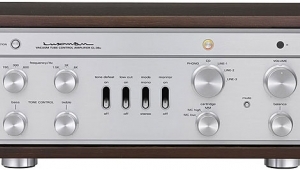 What you get instead is a line-control unit with an accurate chip-controlled volume control"64 steps of 0.5dB,"five single-ended RCA inputs, and two outputs: one for Tape Record, the other for the power amplifier. While the SP8 was built on a steel chassis, ARC's current series of electronics have been made significantly lighter through the use of aluminum alloy casework. This can result in two benefits: aluminum is typically less resonant than steel, meaning that you can expect less reaction to vibrations and the local sound field. In addition, all metal surfaces react to some degree to electromagnetic audio fields; ie, those signals passing through the electronic structure of an amplifier. As a nonferromagnetic material, aluminum interacts with such fields to a degree an order of magnitude lower than that of sheet steel. 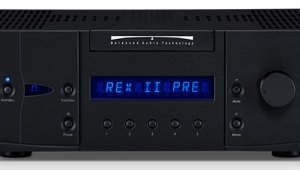 From another viewpoint, the LS8 can be seen as a successor to the Audio Research LS7, one of my favorites in this market sectoror, alternatively, a stripped-down, single-ended-only, nonremote version of the ARC LS15, another favorite of mine. A moderate fourfold signal gain of 12.2dB is promised by the LS8, appropriate for line-level sources. Input impedance is quite high at 50k ohms, a fairly gentle loading for signal sources. 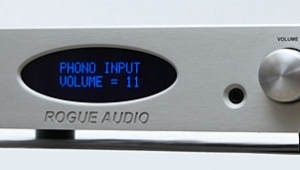 Signal inputs of up to 3.5V are suggested; some of the few very-high-output digital audio sources are thus contraindicated, and might need a line attenuator to avoid overloading the LS8's input section. 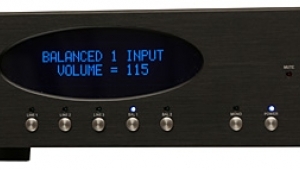 To get the best performance, Audio Research suggests output load-matching criteria of 60k ohms and 100 picofarads. 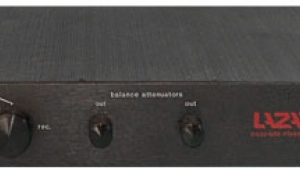 Many power amplifiers will meet the 60k ohm part of this spec, but almost none will manage the latter figure for capacitance if you include a typical interconnect cable. Hedging their bets, ARC gives minimum suggested values of 20k ohms and 100pF; perhaps the LS8 isn't quite so load-sensitive after all. Rated output is specified at 2V for an IHF 0.5V input, 0.5Hz100kHz, ±0.5dB. 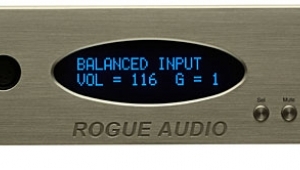 Other specifications quoted are a very wide overall frequency response of 0.1Hz250kHz, 3dB ("solid-state" performance), and a rated distortion of 80dB, or 0.01% in the midband. 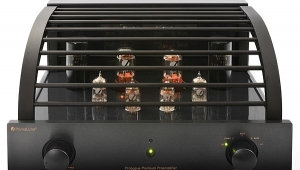 To achieve that exceptional low-frequency bandwidth, a capacitor-coupled tube amplifier requires some special circuitry. 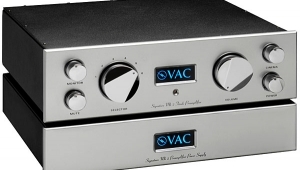 ARC uses one of their established techniques, which places that output capacitor in the feedback loop, effectively making a modest-valued component that has been selected for good sound act as one of much larger value, offering greatly extended low-frequency response. 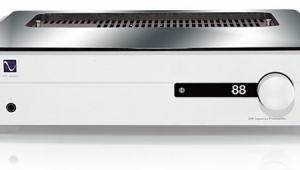 Each channel has a pair of wide-bandwidth double-triode 6922s from Sovtek, an Audio Research favorite. These tubes are readily available, sound very good in suitable circuits, have a long life (typically 5000 hours), are cheap to replace, and, in the case of the LS8's circuitry, don't require special selection or matching. Vibration-absorbing rings are fitted to the tubes.